Working is great. Actually, maybe not so much the work part. But making money so you can do everything in life that you want? That part is pretty great. So, if you’re going to do a job, you may as well be paid well. Currently, there’s a major need for employees in specialized tech roles, including one of the most sought-after “unicorns” in the workforce: the data management professional. 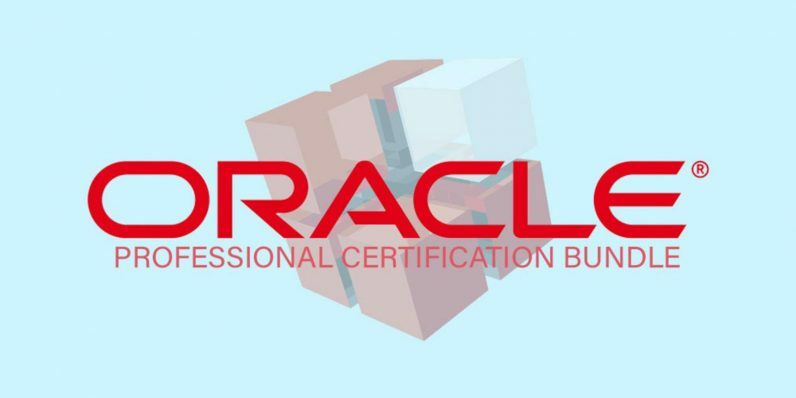 You can get trained and work toward getting certified in running Oracle databases with The Oracle Professional Certification Training Bundle, only $59 (over 90 percent off) from TNW Deals. This package of two courses covers the essentials for handling the care and feeding of Oracle database equipment and software, the most popular database management systems worldwide. In Oracle SQL Fundamentals: 12c OCP 1Z0-061 Exam Prep, you learn…well, the fundamentals. This 12-hour course offers up the basics of Oracle SQL and how to manage an Oracle database. If you don’t know how to write programs with packages, triggers, database architecture or how to handle basic debugging, this training can get you up to speed. Next, Oracle 12c OCP 1Z0-062 Exam Prep advances your knowledge to the next level. This training helps you grapple with the world’s first database designed for the cloud, including automation and how to optimize the information lifecycle. Once you’ve completed both courses, you’ll have covered all the information needed to pass the Oracle 12c OCP 1Z0-061 and Oracle 12c OCP 1Z0-062: Installation & Administration exams, two major stepping stones toward eventually validating your savviness with this platform. Each of these two training courses routinely runs over $450, which is why you should grab this limited-time deal now to get both for just $59.